Salma Hayek attended the premiere of the film ” Tinker Tailor Soldier Spy ” in Paris with her ​​husband Francois-Henri Pinault, which we saw at his side also on the occasion of the Golden Globes in 2012. For the premiere of this new film, the beautiful Mexican actress choose an outfit signed Gucci and wearing a trench coat dress of the autumn winter 2011 2012, a very nice model and original made ​​in leather with a light texture. The Craze of clothes-trench enjoyed the stars, some time ago Lady Gaga chose a Valentino model in green bottle. Recently, however, has sported the same model worn by Salma, also the beautiful American actress Evan Rachel Wood. Salma and Evan have in common only the trench but also a passion for the brand Gucci, Evan it is even a testimonial. Salma along with her ​​rich husband went to the Parisian premiere of the film “Tinker Tailor Soldier Spy”, the film was directed by Tomas Alfredson and Italy will be released with the title ” The Mole.” Salma chose a look from real bad girl, wearing the dress-trench coat in black leather with three-quarter sleeves, and goes well with tights and boots in brown suede high-heeled. Complete her look with a beautiful Balenciaga clutch minimalist chic, the Glaze Gold Fold Clutch in black leather with contrasting piping in white. 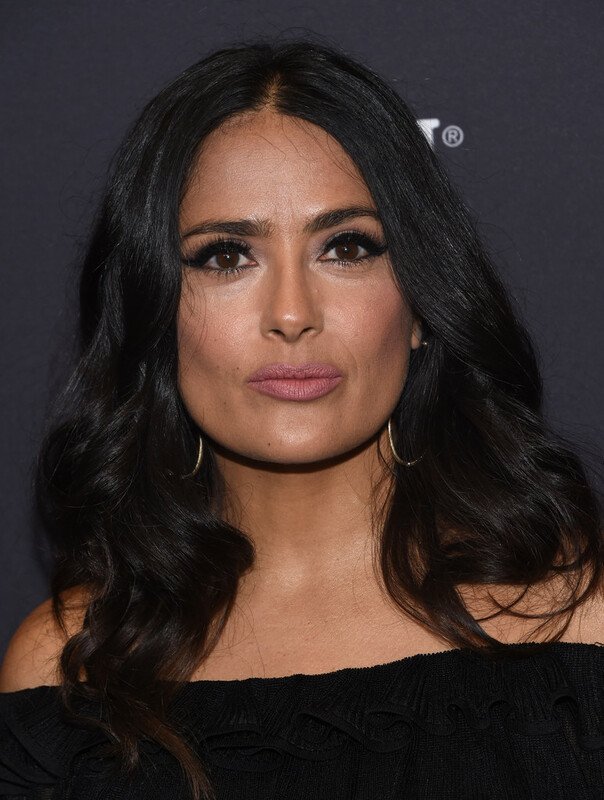 We love the rock look of Salma Hayek? I find it really cute!